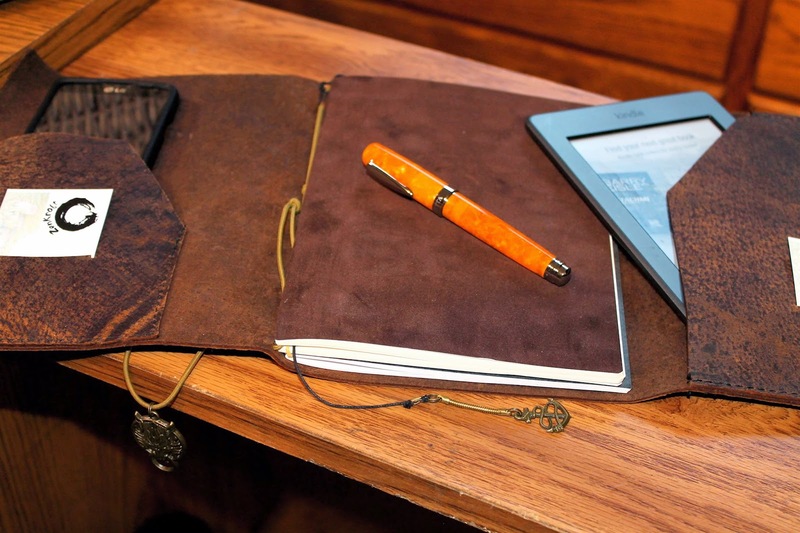 Introducing ZenKraft's Beaver Brown Bi-Fold Notebook with double pockets and pen sheath. 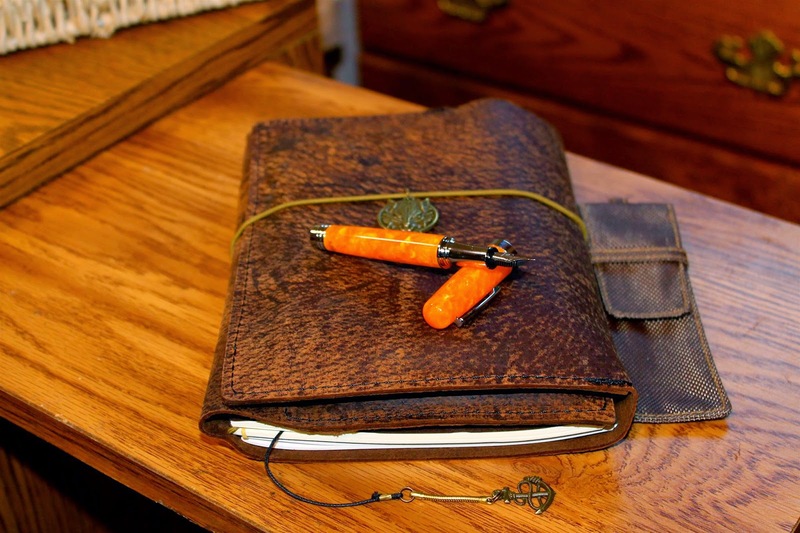 This notebook holds 5 to 6 regular Midori inserts comfortably and has an added, riveted attached pen sheath to protect your writing instrument. The Beaver Bi-Fold has left and right pockets, both secretarial and tech pocket, in order to hold your on the go items without a problem. Reinforced with brass rivets, there's no chance for stiching to ever come apart. Take a peek! 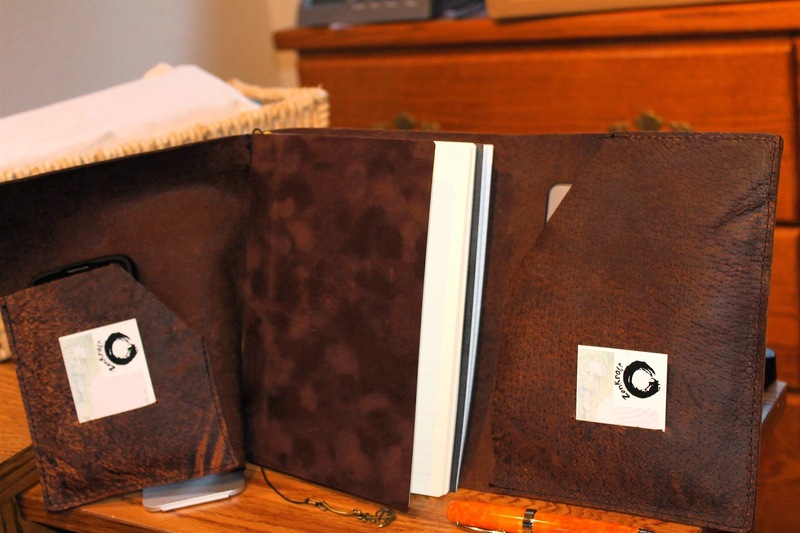 Introducing ZenKraft's Bearcat Cub Field Notes Edition Notebook. It can hold 3 to 4 Field Notes size inserts comfortably. Constructed from Meza Double Shoulders vegetable tanned leather, this notebook is 3.6mm thick, durable, and firm, enjoy! Introducing ZenKraft's Distressed Brown Bi-Fold with twin Secretarial Pockets. It holds 4 to 5 Regular size inserts comfortably, without the dread overhang. Toss this in your bag and head on out, no fuss, no muss, enjoy! Introducing ZenKraft's Kodiak Black Quad-Fold Slim Edition Notebook, with twin Secretarial Pockets. Slim holds four regular size inserts comfortably, as well as the items inside pockets. This slim design allows the Quad-Fold to easily travel in your EDC(Every Day Carry) Bag without weighing down the on-the-go commuter, enjoy! Introducing ZenKraft's Cahier XL (10"x7.5") Kodiak Black Bi-Fold with Double Pockets, able to hold 4 Cahier XL inserts plus a full size iPad comfortably, enjoy! Introducing ZenKraft's A6 Hobonichi Techo Bi-Fold in Kodiak Black leather with double pockets. It holds an A6 Hobonichi Planner with room for an A6 insert, enjoy! filled with Cafe Pajaro extra dark roast coffee from Trader Joe's, and last but not least is an aluminum "Cigar Saver" Pen Holder that will easily hold one Tombow "Havanna" Pen, sit back and enjoy the show! Introducing ZenKraft's Regular Midori size Bi-Fold with Secretarial Pocket in distressed brown cowhide. Shown here with a Tombow 848p Egg Fountain Pen, black leather Kaweco pen case, brass Buffalo Nickel charm, brass passport bookmark charm, enjoy! Introducing ZenKraft's Distressed Brown Tri-Fold Envelope Fold Edition with Secretarial Pocket. This Regular size notebook holds 5 to 6 regular size inserts plus paperwork in the side pocket with ease, enjoy! Introducing ZenKraft's Boar's Hide Bi-Fold with Secretarial Pocket. This notebook is buttery soft and has a reinforced spine so not to dimple in at elastic stress points. It has a left secretarial pocket with business card slit. It can hold 5 to 6 regular size inserts. Enjoy! 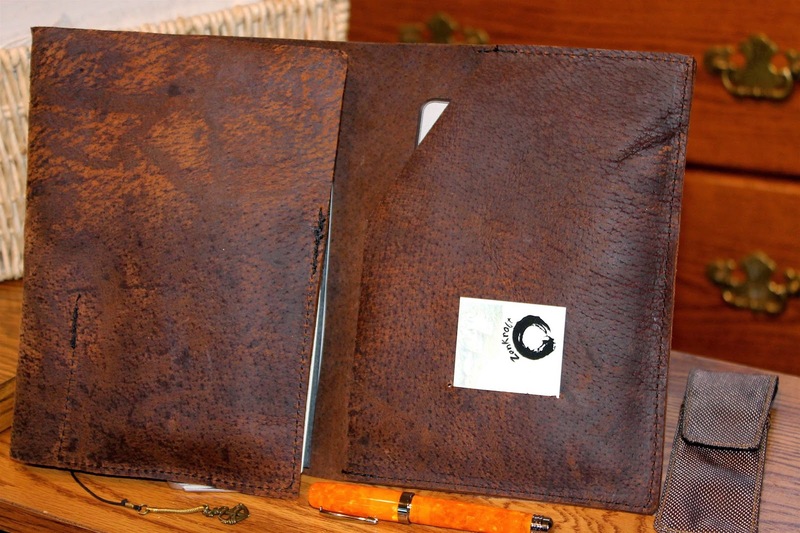 Introducing ZenKraft's A5 Tri-Fold Notebook with double Tech Pockets in distressed brown Boar's Hide. This hide is oil tanned, has a smooth texture, and feels great when holding. The Tech Pockets protect your small tablet and cell phone well when carrying, including slots for business cards. This notebook holds four to five inserts comfortably along with your tablet and cell phone. Enjoy!